Have you entered my giveaway of THE UNDERSIDE OF JOY? Bea, Kate and Ellen have always known that they can depend on each other no matter what. 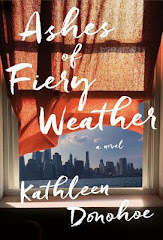 But when Ellen, a widow who has devoted herself to her children and her art gallery for the last ten years, falls head over heels in love with Oliver, the long-term bonds of these three friends is put to the test. Bea and Kate are driven away from their friend and from each other as they react differently to this unfamiliar stranger in their midst. 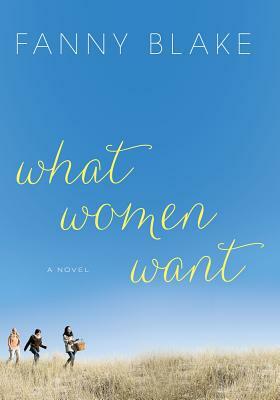 What Women Want is a novel about love and life and the challenges of female friendship that face women as they try to decide what they want—and come to realize what they really need. What an interesting pick! It sounds like they're letting a guy ruin their friendship, wondering why... thanks! Great pick :) It sounds really good! I've added it to my list! This isn't my usual sort of book but it sounds really interesting, may have to give it a go sometime! Sounds like a good contemporary book. Good pick! Books centered around female friendships always interest me. Thanks for sharing; I'm adding it to my list. Interesting choice this week, thanks for sharing! Unfortunately, this is a scenario that is all too familar to many women...I would be curious to see how it all turns out. Not my usual read but it's an interesting read. It's something that happens in real life. that sounds really interesting and yet really different from what I'm used to. Maybe I'll give it a try! I haven't done a WoW in a while, but since the cover was just released for Temptation I decide to put it up as a WoW post today. This sounds like a very interesting book. Sounds like she deserves a good boyfriend, but hopefully she isn't going to lose her friends. I like the sound of this one! Thanks for sharing. Looks like a great read! Thank you for hosting this meme! I normally read YA, but this one looks great. Thanks for hosting. Thanks for hosting. I love reading these every week, but this is my first week participating. Great pick and have fun reading it. This week looks like a ton of great blogs to check out. Thanks again for hosting! This book sounds like a great read for vacation. I can see myself now at the lake lounging and reading it. Sounds good. First I've heard of it. Definitely adding this to my TBR list at Goodreads! My first Waiting on Wednesday...happy to be a part of it! Interesting... I love the premise of three best friends. Thanks for sharing! I really like the cover and sounds like a good read. My WoW this week is a Middle Grade read, Lisa McMann's Island of Silence. Not something I'd read but thanks for sharing! Sounds like a good read. Here's mine: http://booklightslatenights.blogspot.com/2012/03/waiting-on-wednesday.html Have a great Wednesday! I think women's relationships are always interesting to read about. Sounds like a great novel about friendship among long time girl friends. It's always interesting when a new person is introduced to the mix. Especially a man, and the relationship that takes attention away from the friends. ~ Jen @ A Book and a Latte - My WoW pick! The book sounds good and pretty true to life. Wow this sounds like a great read! I'll be looking for it! Hi! This book sounds good, but still, sad! I hate to see or read about someone who have to choose between love and friendship! I hope/sure it will ending well! I like how all three words of the title start with a W! Did my first Waiting on Wednesday post today. YAY! First I have heard of this book. It sounds kinda cool too. Sometimes I am looking for a change of pace in my reading. That's why I love WOW's because I see a variety of gr8 books that I can jot down and check out later on. Doesn't exactly seem my taste, but maybe one day I'll pick it up from the library and love it. This is usually the way things go for me.